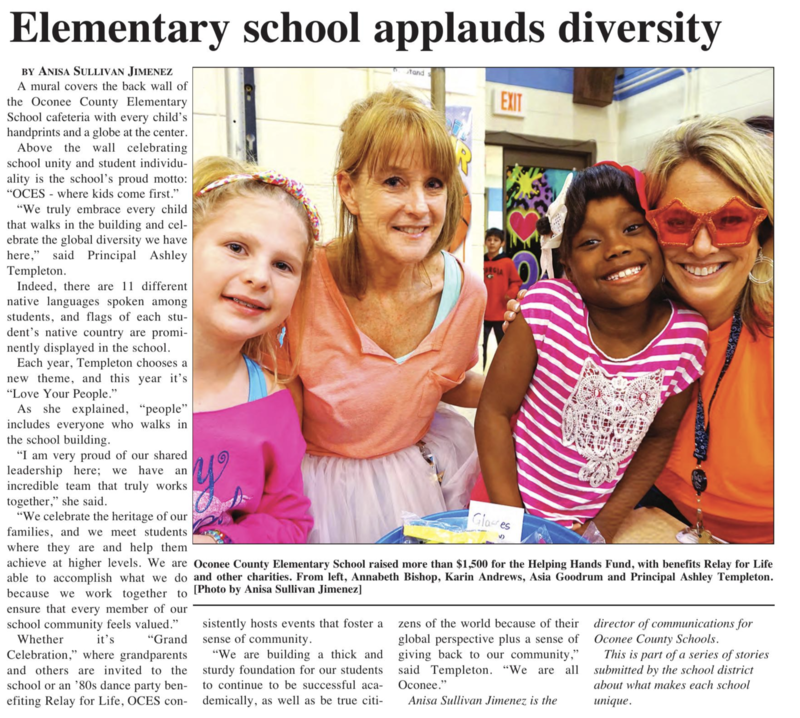 The media center at Oconee County Elementary is the reading and learning hub of the school. Through media program activities and instruction, students are empowered to become critical thinkers, ethical users of information, independent learners, and lifelong readers. For more information, please visit the media center website here.